Worried that it may get harder to stay active now that fall is swiftly approaching? Many residents throughout the Aurora area feel the same way; during the summer, getting moving often proves as easy as getting outside. However, as the temperatures start to lower, we all find ourselves a little more reluctant to get outside for a cardiovascular workout. Fortunately, those in the Aurora area don’t have to simply accept that the colder months mean less physical activity. Here at DuPage Swimming Center, our guests know that our Aurora pools offer the perfect solution for their fall/winter inactivity dilemma. Low Impact Training: Higher impact activities can eventually take its toll on any body. Swimming is a low impact movement that minimizes overall stress on your muscles and joints. Resistance Training: Moving against the water in our Aurora pools can prove a great resistance training session. Builds Strength: Despite being a low impact activity, swimming can tone muscles and build strength when performed consistently. All Over Workout: Unlike activities that only target one or two muscle groups, a brisk swim session can work out all of your muscles. Maintain Healthy Weight: As with any cardiovascular workout, swimming at our Aurora pools can help you maintain your personal healthy wealth. Increase Holistic Health: Working out at DuPage’s Aurora pools can also help you increase your overall, holistic health levels. Enhanced endurance, healthier heart, and even healthier lungs are just some of the many potential benefits you can enjoy during a pool workout. Of course, enhanced physical fitness levels aren’t the only benefits offered when taking a swim. Our guests know that coming to our facility is fun! It’s a great way to come and just enjoy a little downtime, either alone, or as a family. Additionally, going for a swim makes for a relaxing, peaceful activity. No need to time your pace or count calories burned if you don’t want to. You can go at your own pace and enjoy a calming environment to alleviate stress and tension from the everyday bustle and routine. Best of all, using the Aurora pools at DuPage Swimming Center means that you will enjoy your water time in our state-of-the-art facility. No matter what the outdoor temperature, you will have access to our Aurora pools. 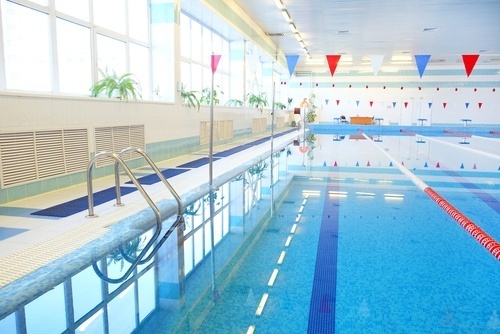 Heated waters, open swim times, and modern lap lanes are just some of the many distinctions offered by our facility. We also offer a team of highly skilled and trained lifeguard/instruction professionals. No matter what questions and concerns you may have, we can help you get the information you need for a positive swim experience from start to finish. Want to hear more about what DuPage Swimming Center has to offer? Contact our team today!